My phone is buzzing, y’all. 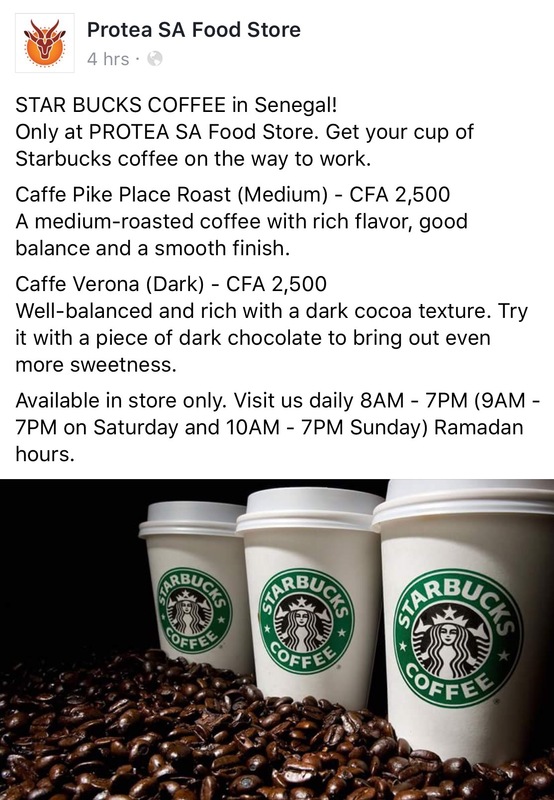 Protea South African grocery store in Mamelles is now brewing and serving Starbucks coffee! 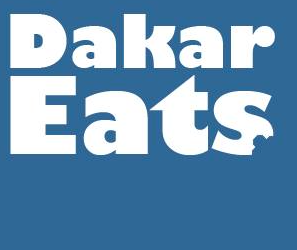 And kind readers of Dakar Eats have sent me text messages, emails and photos to let me know. You guys are awesome. 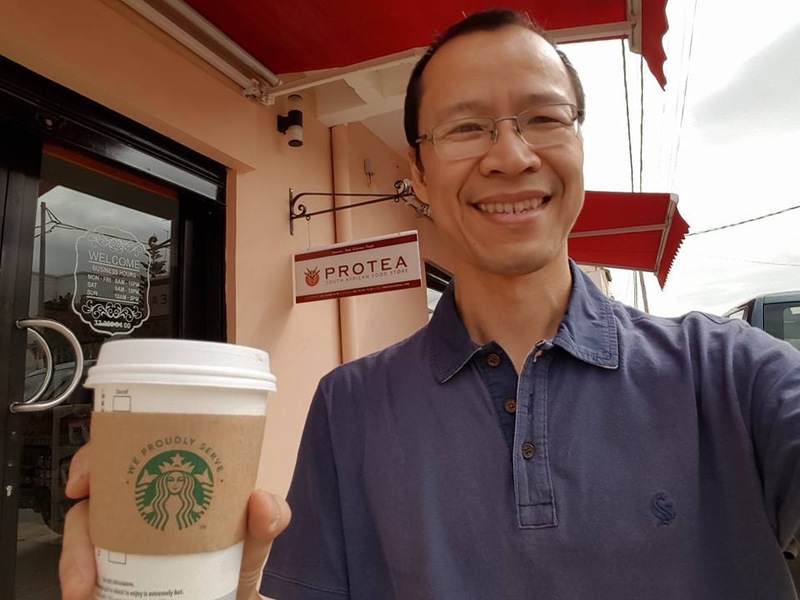 Do you know what goes great with Starbucks? An Americano pastry from Melo Pâtisserie. 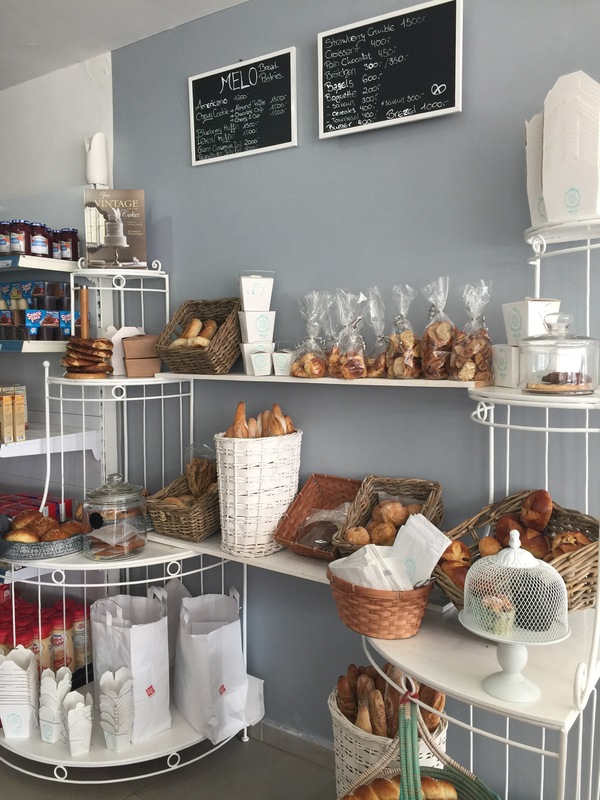 And now you can get freshly baked Melo pastries, bagels, bretzels, cookies and breads at the American Food Store in Almadies! They have a legit shop right smack in the middle of all that USA goodness. I love Dakar. And coffee. 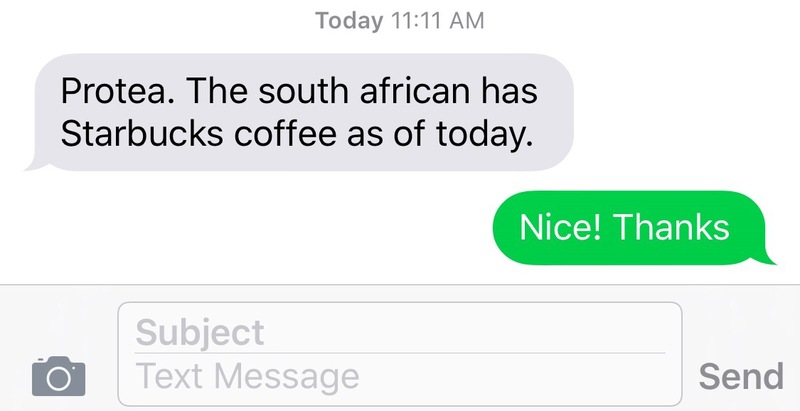 And Americanos. Previous Kale, chard, cherry tomatoes! And you can buy Starbucks at the American Food Store as well! Also…Does anyone have directions or a Google Maps link for this store? Protea is near Nouvelles Frontieres on the main road of Mamelles. On the left, you won’t miss it. They also have a FB page with map. We moved in right next door to Protea, Alex the owner is awesome. We will be opening our American Electronics shop as soon as the container reaches port..thank you for all of the great food tips here in Dakar. You are awesome!! !